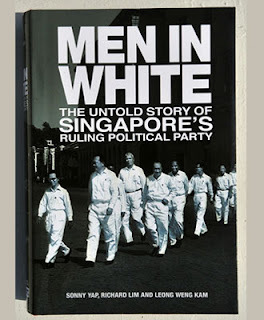 Just got my copy of "Men in White" an hour ago. This tome is so thick. I wonder when I would start, not to mention finish it. Most likely, I will skip much of it. I got my copy from Times at Jelita. There were many copies on display. I don't think this book will be moving fast but it is probably a necessary piece of work. I could have waited for it to be available in our libraries but at so many hundreds of pages, it is not a practical proposition.